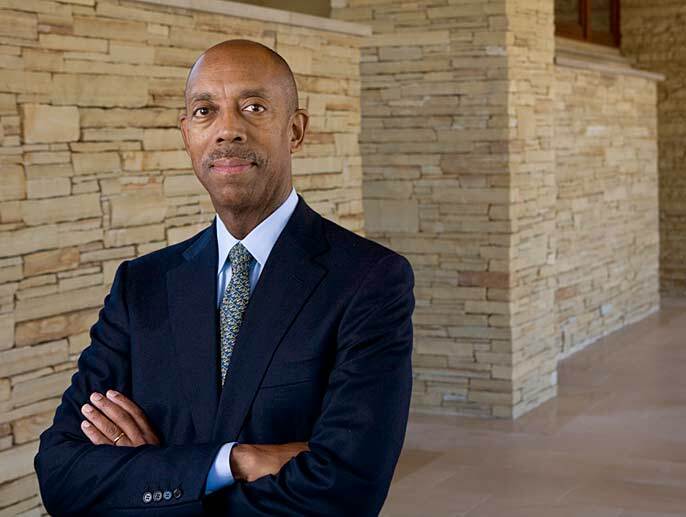 Dr. Michael Drake, UC Irvine chancellor since 2005, plans to step down in June to become president of the Ohio State University. Dr. Michael Drake has informed me that he intends to step down as Chancellor at the University of California, Irvine, effective June 30, 2014, to become president of the Ohio State University. I accept his decision with mixed emotions. I am grateful to Chancellor Drake for his more than 30 years of service to the University of California, as a faculty member, a health administrator and, finally, as UC Irvine's fifth Chancellor. He has been champion of academic excellence and diversity, steadfastly leading a dynamic campus through challenging times and abundant triumphs. Chancellor Drake has made the promulgation of values a hallmark of the UC Irvine experience. The seven campus values that he suggested at the time of his appointment — respect, intellectual curiosity, integrity, commitment, empathy, appreciation, and fun — have become essential parts of fostering the creative process, building stronger bonds between people, and inspiring a shared sense of purpose among faculty, staff, and students. His dedicated and passionate leadership has positioned UC Irvine for a bright future as a world-class research university. I personally will miss his wise counsel and camaraderie. In the coming weeks I intend to convene a committee to conduct a national search to find a new Chancellor for this remarkable campus, which deserves and demands the best leadership possible. In the meantime, and pending approval of the Regents, I am appointing UC Irvine Provost and Executive Vice Chancellor Howard Gillman to serve as interim chancellor, after Chancellor Drake's departure this summer. I do so with the greatest confidence in his capabilities. In closing, please allow me to congratulate Michael on his new position and wish him and his wife, Brenda, all the best.